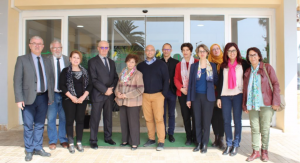 On February 20th and 21st, the UNESCO Chair team in Oran, Algeria, directed by Camila Ait Yala, hosted a seminar: Prevention, promotion and health education: Benchmarks, stakes and limitations (Prévention, promotion et éducation à la santé: Repères, enjeux et limites). 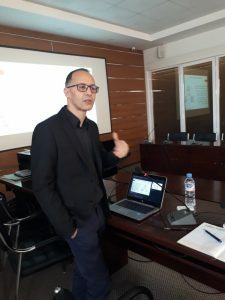 This meeting featured the epistemological research cohort from the UNESCO Chair team in Oran and was led by Professor Dominique Berger (Claude Bernard University Lyon 1) and Mabrouk Nekaa (University of Saint-Etienne). The themes from the first day of the conference revolved around current research interventions. The second day focused on fundamental concepts in health education and their impact on research, training and other programmes that support health in the education sector and other social health areas. 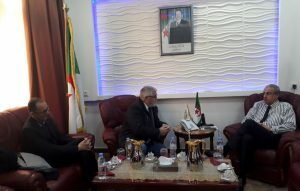 During these two days of productive meetings, the foundations for the international conference for Health Education in Algeria: current and future challenges (Éducation à la santé en Algérie: Enjeux présents et défis d’avenir) was finalised. 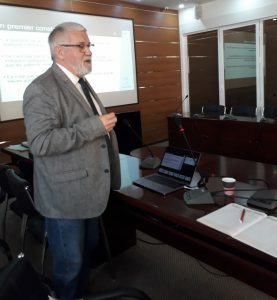 The conference will be held in Oran in November 2019. More information on the conference will follow.